You Can Trust Fine Art Shippers to Ship Antiques of Any Kind! Fine Art Shippers is pleased to offer comprehensive shipping services from the United States to destinations around the globe. However, we are not just a regular shipping company. Our specialization lies in shipping valuables and collectibles of any kind. In other words, we ship fine art, and we ship antiques for museums, galleries, auction houses, dealers, and private clients on a professional level. Our dedicated team of art shippers completely understands that every artwork or antique deserves detailing and passion and, therefore, treats each of them with the utmost care and attention. Moreover, this applies not only to packing and crating but to the whole process of transportation, from picking up to delivering your treasures on time. We ship antiques on a daily basis, and we know how to handle even the most fragile and delicate pieces. Besides, we offer secure storage solutions and a variety of art insurance services to meet any need – all for less than the majority of other fine art shipping or courier companies. Shipping antiques with Fine Art Shippers is always a smart solution from both a financial and safety perspective! How do we ship antiques? It is important to note that Fine Art Shippers always provides a customized solution to any shipping problem. However, in most cases, the transportation process looks like the following: we pick up antiques from the indicated location, safely transport them to our warehouse, pack and crate them properly, and deliver them to the final destination, airport, or seaport, depending on the client’s requirements. Customs clearance and documentation preparation can also be provided if needed. 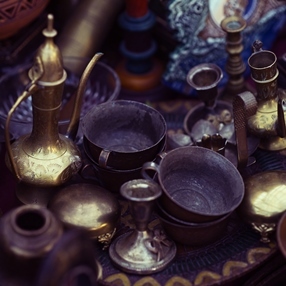 One more essential aspect of our services is that we can ship antiques of any kind, from antique books and jewelry to vintage furniture and unique grand pianos. No job is too small or too big for Fine Art Shippers, and we can handle literally any task quickly and safely. So whether you need to ship antiques that have always been in your family, or you are looking for a cost-effective way to organize a traveling exhibition of museum-quality furniture, come to Fine Art Shippers for help! We will ensure that every piece of your precious collection is delivered to wherever it needs to be safe and sound. After all, shipping antiques in not only what we do, but it is also what we love!